We offer Natural Dyed Linen to our clients. We offer GOTS (Global Organic Textile Standard) Certified dyed/printed/yarn dyed fabrics in Organic cotton knits/wovens as per custom requirements. 30’S, 40’S Single jersey , Interlock , rib , sweat , sherpa , Jersey Lycra , yarn dyed stripes in Knits fabrics. 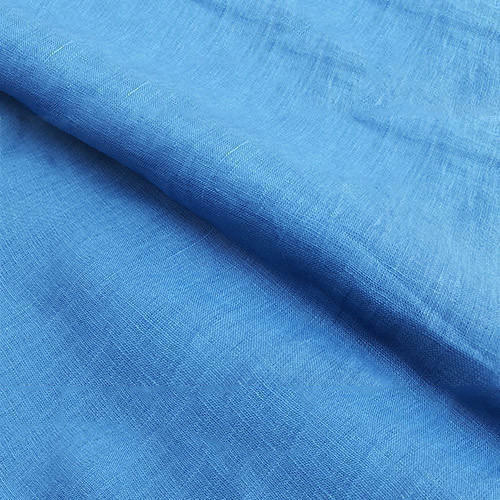 We also offer other Eco-Friendly fabrics like KHADI (Handspun and Handwoven fabric), Non Violent Silk/Peace Silk, Organic denim, Organic cotton Corduroy, Wood based fibres, Special Blended Fabrics. We are always in search/development of sustainable Textiles. Established in the year 2007, we, “Herbal Fab”, are widely acknowledged as a leading name in the domain of Manufacturing, Wholesaling, and Exporting a commendable range of Organic Cotton Clothing, Special Sustainable Fabrics, Organic Cotton Fabric, etc. Herbal Fab is a family run company. Their vision as a company is to be sustainable - giving back to nature what they take from it in the same form, if not same then one, that is still useful and not harmful. This is the vision that they apply to all of their sourcing and manufacturing for their fabrics. They believe that they are giving life to or reviving the chemical free textile practice followed by ancestors 100 years ago. Two brothers, originally electronic engineers, started herbal Fab; they started Herbal Fab in order to join the family business involved with conventional cotton textiles. However, from seeing the repairable damage done by the hazardous chemicals used at each stage of conventional textiles processing they decided to make a change. This was where the idea of Herbal Fab was born. The main issues they are concerned with is the amount of air, soil, and water pollution created as a result of production and processing, and how much employment that their work generate. All fabrics produced by herbal Fab have, if any, a minimal impact on the environment. They are GOTS (Global Organic Textile Standard) certified. 2. GOTS certified Low impact dyed/printed fabrics. In WOVENS we offer fabrics ranging from 6 s to 80 s counts (Thicker to thinner fabrics for different end use) covering fabric like voiles, cambrics, poplins, Twills, Oxfords, Canvas. One can have them in custom solid dyed OR Printed, OR yarn dyed stripes/checks as per requirement And special ones like Chambrays, Corduroys, Non violent silk, KHADI (handspun and handwoven fabrics), Denims, Flannel And In KNITS covering Jerseys, Interlocks, Ribs, Pointelle, etc. We offer custom sewing ( baby / Adult clothing) also. Under the offered range, we provide Organic Cotton Clothing, Special Sustainable Fabrics, Organic Cotton Fabric, etc. Herbal Fab is a unique company that are master craftsmen in the production of fabric with minimal environmental impact. They are constantly advancing their company in order to compete with other leading companies, and are innovators when it comes to protecting the environment.